Recreation center «Malka» will offer you a healthier geothermal sources to enrich your body with mineral waters, which are unique in their composition. recreation owners provide their clients with the best conditions for rest, recreation and tourism. On weekdays to everyone a discount of 16-20 percent. «Snow Valley» — a mountain-sports recreation in Kamchatka, which cordially invites all lovers of extreme sports. Here you can feel the true drive of the steep slopes of the mountains of Kamchatka, to feel true freedom and peace, which is presented by majestic mountains. Here you do not have to think about the equipment, the walls of the complex you will find equipment for the slopes of any complexity. Recreational lotus ready to accommodate twenty guests, provide them with convenience and comfort. 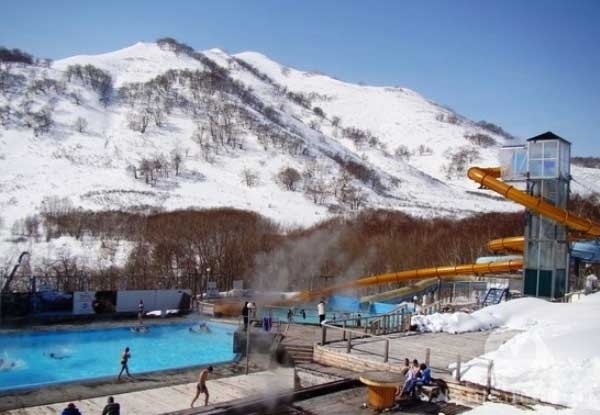 At the base you will find everything you need for a relaxing holiday in the mountains of Kamchatka. The fresh air and the wonderful nature of these places is fascinating and inspiring. Any arrangements for accommodation and payment you can solve online, contact the manager of the hotel complex «Lotus». Fishing enthusiasts will be able to go to the recreation center in Paratunka, the organizers will provide a reliable and comfortable flight by helicopter to the best fishing spots, where you can fully enjoy the abundance of water and the wildlife of the world most beautiful places of Kamchatka. Only here you will find the greatest variety of fish will be able to experience the delights of living in extreme conditions and enrich their minds incredible impressions.